Janet Douglas, British High Commissioner to Barbados and the Eastern Caribbean, recently opened up her residence to the UK and West Indies visually impaired women’s cricket teams. The England team was visiting Barbados for a bilateral T20 five-match series, which wrapped up on Sunday, 15 July. 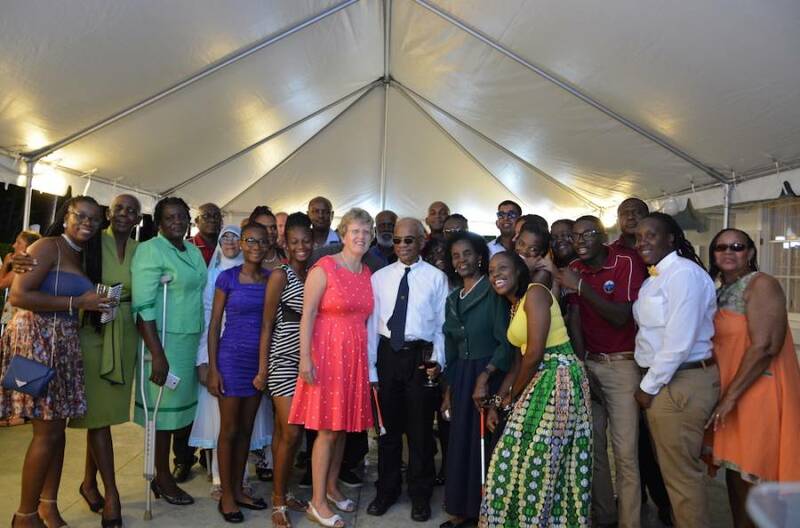 West Indies and England team members, their families and supporters, as well as representatives of Barbados’ blind and disabled community were present to enjoy the occasion. Players from the West Indies hailed from Barbados, Guyana, Dominica and St Lucia. Avril also expressed gratitude to the British Blind Cricket Association, whom he credited for helping the West Indies players better understand the game through training and wider opportunities.